For information or to book an appointment for any of the following services please ring Nurse Reception on 01942 614307 or the normal surgery number 01942 821899. 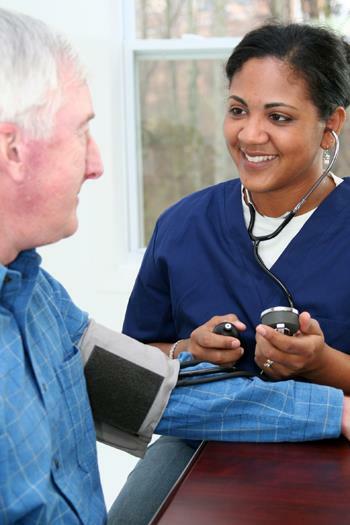 Blood Tests, Blood Pressure Checks, ECG, Lung Function Tests, etc. Most straightforward tests you will need will be available within the practice. We will usually let you know as soon as possible if there is anything significant on your blood tests or will contact you to arrange an appointment to be seen again. If you want to check for yourself please ring 01942 614307, if possible between 2.00 - 3.30 pm, for your results. If you are on Warfarin, you will understand the importance of regular monitoring of your blood. We run a clinic on a Tuesday afternoon to monitor this. The clinic is run by Mrs Pam Myers and supervised by Dr Chris Lord. We have a very popular clinic for the under 5’s at 3:30 - 3:45 every afternoon except Wednesday. You do not need an appointment for this clinic. Your child will be seen quite quickly. We have a full service for immunisations for children within the practice. Your child will normally be automatically recalled for these immunisations but if you have any questions please contact us on the above number. We also offer full post-natal checks for new mums and babies around the 6 week post natal period. You would normally get an appointment for this automatically but if you think there is a problem please contact us. We offer a full programme of travel vaccinations and holiday health advice. We are also a certified site for Yellow Fever Vaccinations. Cervical smears are extremely important for all women between the ages of 25-65 years. The regular uptake of cervical smears can dramatically reduce your chances of developing cervical cancer. The test is simple and the appointment lasts for about 15 minutes. All our practice nurses are fully trained in taking smears and results are carefully monitored. Many minor operations for the removal of lumps and bumps can be carried out within the practice, usually by Dr Marwick. You will be referred to him by the doctor you see. We offer a full range of contraceptive services within the practice. This includes general advice, prescribing the pill or fitting the contraceptive implant. Please discuss this with your doctor or nurse.